At Antelope Mall Vision Center Optometry we make a wide variety of specialty lenses for many needs. 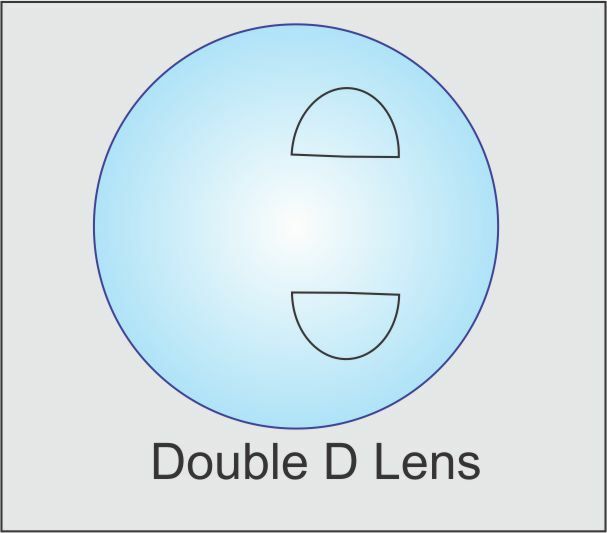 Sports lenses and goggles made of shatter resistant polycarbonate (see "safety lenses" below). Polarized lenses to reduce glare around water and various tints for all sporting occasions. Safety Lenses: Polycarbonate is a shatter resistant material that is 12 times stronger than regular plastic (CR39) lenses. It is used in aerospace extensively, such as for visors for NASA astronauts. It is also a high index material and is thinner and lighter than CR39. For very high prescriptions it may not be "thin enough" and the optics are not as good as a specialized high index material. This is a great lens for everyday use because it is thin and light. We think it is mandatory for sports or for people with monocular vision (one eye). Trivex is a newer material used by the military for shatter resistance. It is even tougher than polycarbonate but is not used as much because it is almost as thick as regular CR39 lenses.